The first primary tooth (baby tooth) will have manifested by 33 months after birth. Girls actually tend to have their teeth come in before boys! Your third molars, located at the upper and lower back of the mouth, appear when you are around 17-25. They are the only teeth not formed in the womb. They are called wisdom teeth because we should be wiser by the time they appear. #3. The second most common disease is tooth decay. Second to common cold as the most common disease in the world, tooth decay has long been a menace. One in four Australian children aged 5–10 have tooth decay that is not being treated! Research commissioned by the Australian Dental Association (ADA) reveals an alarming 57% of Australians expect that at some stage in their lives they will develop tooth decay. If left untreated it can lead to eventual teeth loss and in some very rare cases – death! Blue is the most popular colour in toothbrushes and for no logical reason at all! Closely followed by red, blue toothbrushes are popular things in any part of the world. What colour is yours? Saliva is your mouth’s most powerful natural defence against decay. It contains important elements such as bicarbonate, calcium, and phosphate that neutralize plaque acids and help repair early tooth damage and decay. On average, your saliva glands produce two-three liters of spit a day. Enough to fill two medium-sized bath tubs a year! According to the National Survey of Adult Oral Health for Australia’s dental generations, around 6.4% of adult Australians have total teeth loss. 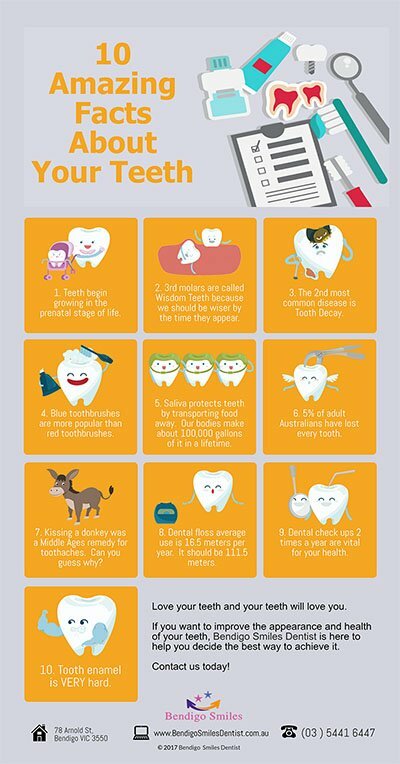 This could be attributed to the neglect Australians show towards dental visits. 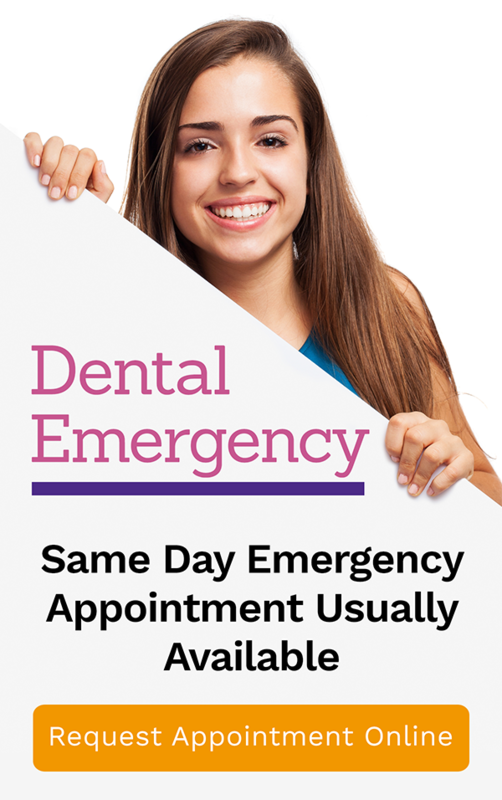 Statistics show that 30% of Australians currently go without regular dental care due to cost, unavailability of service, and other barriers. #7. A kiss is indeed very powerful! Back in the middle ages, kissing a donkey was a recognized remedy for toothaches. Do some of them turn into handsome princes as well? #8. Most people do not floss after brushing their teeth. In fact, the average use of dental floss is only 16.5 meters annually when it should be 111.5 meters. #9. A healthy dental regimen includes at least two dental check ups a year. #10. Your teeth enamel is the hardest and most mineralized substance in your body. It covers the outer layer of your teeth and is the most visible part. Love your teeth and your teeth will love you. At Bendigo Smiles we take of you and your teeth so could achieve the superb smile a celebrity could wish for!